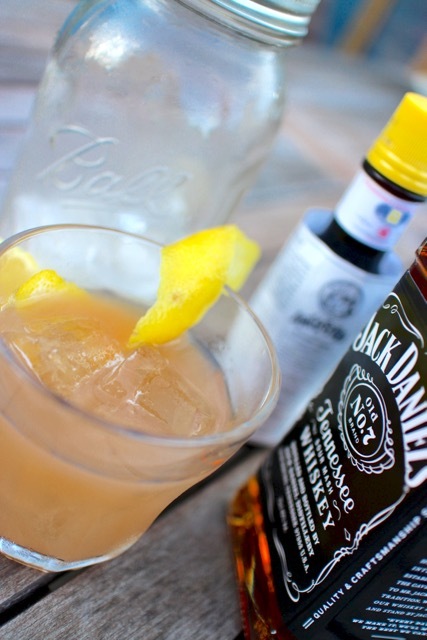 I was recently contacted by Jack Daniel’s to see if I fancied trying out their recipe for a No. 7 Sour. If you know me, you’ll know I’m not one to turn down alcohol so my reply was a resounding YES! 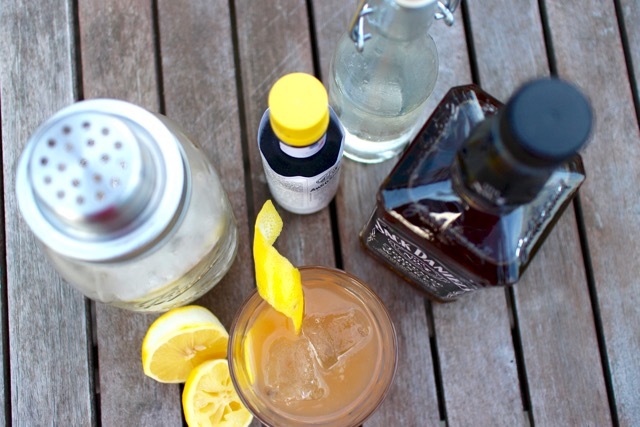 Based on the traditional Whisky Sour, this cocktail is a mix of JD No. 7, Angostura Bitters, sugar syrup and lemon juice; I must say, I really did enjoy it! The JD adds a heat and smokey flavour, whilst the lemon and bitters add a sharpness. The sugar syrup then mellows this all out a little to create a really well balanced and delicious drink. I made my own simple sugar syrup to use here. It’s really easy; just put equal quantities (by volume) of sugar and water in a pan and heat just until the sugar has dissolved. Bottle and store in the fridge. Isn’t my cocktail shaker just gorgeous? I love it; it’s made by a company called Mason Shaker from a traditional American mason jar. You can get it online here if you want one too. Want to make your own No. 7 Sour? Here’s how! 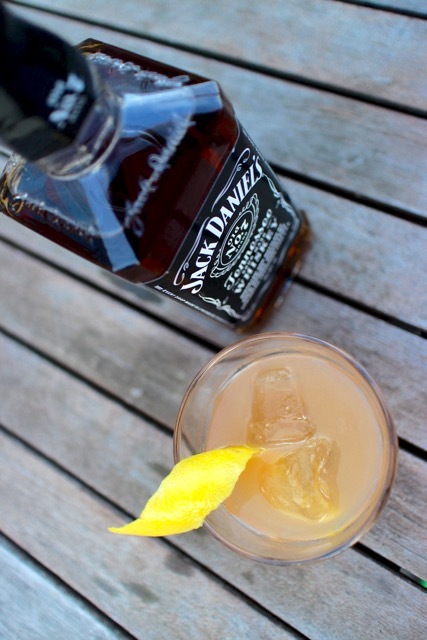 A delicious cocktail made with Jack Daniels No. 7! 1. Place all the ingredients into a cocktail shaker filled with ice and shake until mixed and ice cold. 2. Serve in a short glass filled with cubed ice. Garnish with a twist of lemon zest. 3. 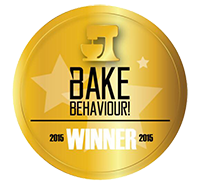 Enjoy whilst still very cold and strong! 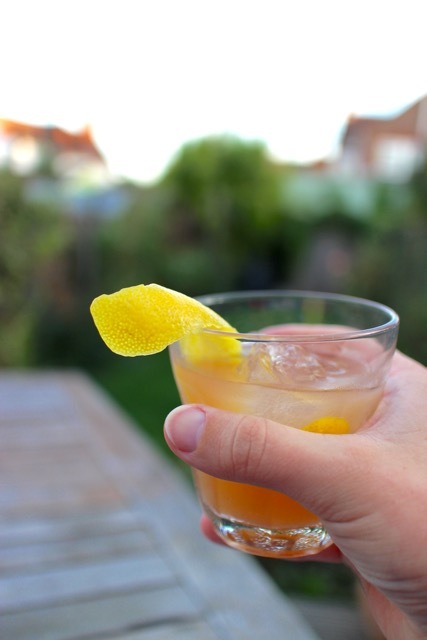 Disclaimer: The alcohol in this recipe was provided free for me to review this cocktail but I was not paid for this post. As always, I wasn’t expected to write a positive review and all views expressed are my own personal opinions. Love the cocktail shaker. I am not a huge whisky fan but I know a lot of people who would love this so must try to make it next time they are over. You poor thing Kevin! It must be terrible having to try out cocktail recipes in your spare time 😉 hehehe great looking cocktail and love the photos! What will you do with the rest of the bottle? !